How to Get Glowing Skin This Winter with These Beauty Tips? With winter just around the corner, it is only normal you should be interested in proper skincare. The cold season brings a lot of changes, with weather elements affecting the aspect of the skin. Reduced temperatures, aggressive winds or excess humidity – all of these things can wreak havoc on the skin, causing your complexion to appear lifeless or dull. The good news is that you can have beautiful, glowing winter skin, especially if you will follow the suggestions included in this article. Keep in mind that the skin requires proper care during the cold season, especially after a certain age. Even since the ancient of times, people, and especially women, have used olive oil for beauty purposes. During the cold season, there is a very good chance that your skin will become dry, requiring additional hydration. 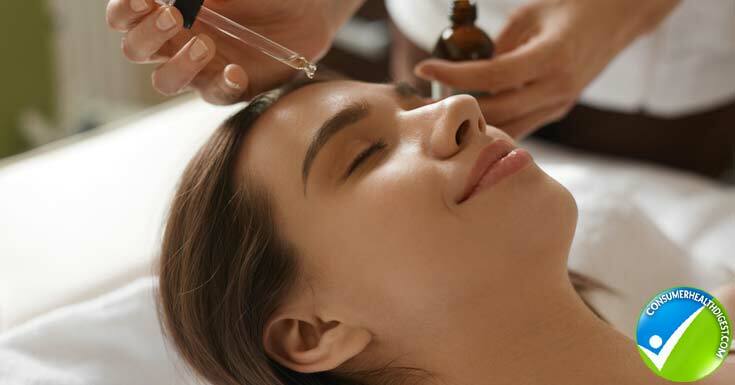 A massage with olive oil can serve directly this purpose, as it is rich in vitamins and minerals, being able to hydrate the skin and ensure a healthy-looking aspect. You might not be aware of this but olive oil can also prevent the premature aging and appearance of wrinkles, helping your skin to look young for as long as it is possible. For the best results, massage your skin with olive oil before taking a bath. If you want for your skin to look beautiful, despite the cold and other weather elements, you should become accustomed to using a hydrating avocado mask at the end of day. Avocado is rich in healthy fats, being able to hydrate the skin and prevent the evaporation of moisture at the same time. 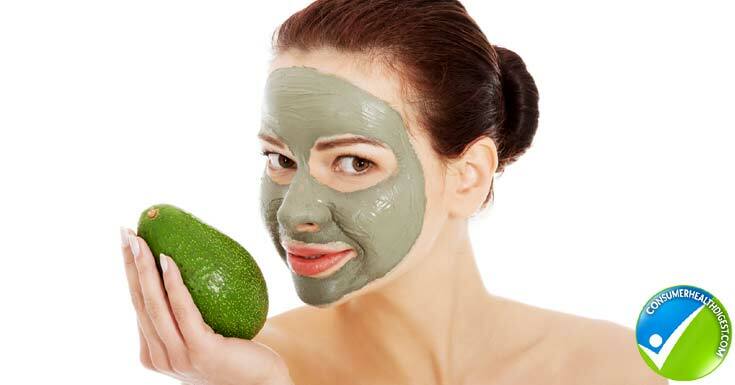 You can mix the avocado with some olive oil and honey, applying the resulting mixture on your face. The mask should be kept on the face for about fifteen minutes, then you should rinse it off with lukewarm water. During the winter season, it is particularly important to remove the dead cells accumulated on the surface of the skin. The best way to achieve such an objective is to prepare a homemade scrub, preferably one with almonds, as these are really great on the skin. What you want to do is soak the almonds a night before, leaving them in water. In the morning, grind the almonds, making sure to remove their peels first. You can mix the ground almonds with yoghurt, in order to obtain a better texture. Apply the resulting scrub on the skin and perform a gentle massage. When done, rinse it off with warm water. You can repeat the procedure once or twice per week. The bronzer might have worked just fine in the summer, even in autumn. But, during winter, you need to give up using such products and go for liquid foundation instead. This product will hydrate the skin, hiding minor imperfections at the same time. 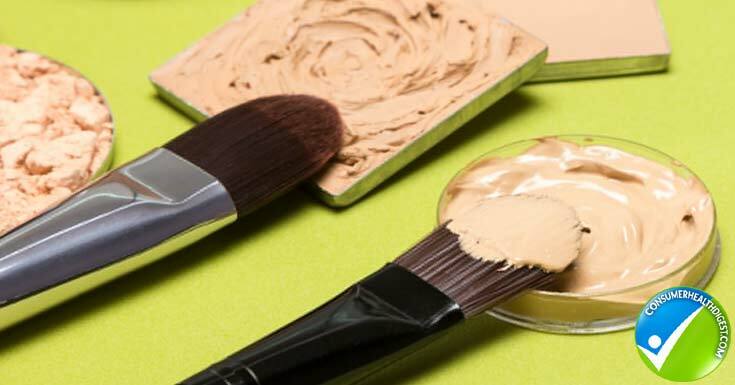 On the other hand, if you insist on using bronzer or other similar products, you will see that your skin will suffer from excess dryness. The liquid foundation is an excellent choice, as it can illuminate your face and help you look more amazing than ever. And you don’t even need to use that much, in order to look fantastic. If you really want for your skin to glow this winter, you have to give glycerine a try. You can use it in combination with fresh-squeezed lemon juice and milk, preparing a sort of a mask to apply on your face. Once you have mixed all three ingredients together, you should apply the resulting paste on the face and wait for approximately twenty minutes. This mask will help you enjoy a healthy-looking complexion all winter long, having genuine moisturizing properties. You can repeat the application on a weekly basis, enjoying its positive effects. The cold season puts a lot of stress on our skin. We spend a number of hours out in the cold, then go inside, switching to much warmer temperatures. Our skin suffers throughout these changes, causing us to look dull and tired. 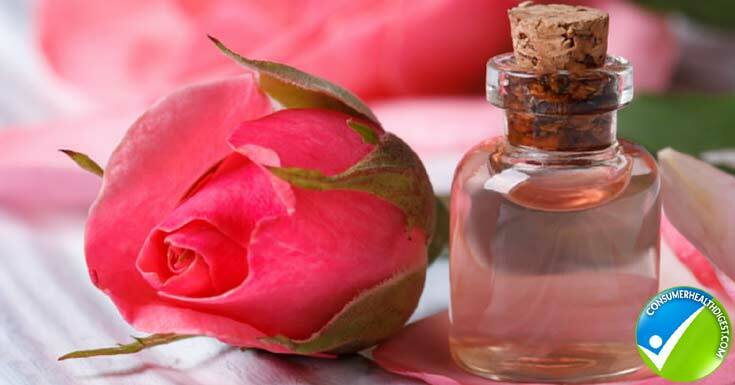 Using rose water to refresh your complexion is a great idea, this being indeed one of the most amazing ingredients you can consider for your skin care routine. You might not be aware of this but rose water can balance the pH of your skin, prevent acne breakouts and hydrate the skin during winter. As you have seen, one of the most important things during winter is to keep your skin hydrated. Cucumbers contain a high percentage of water and this is the reason why they can be used during the cold season, keeping the skin hydrated and glowing. For this natural remedy, grate the cucumber and mix it with a little bit of yoghurt. Apply the resulting mixture on your face and wait until it becomes dry. Then, rinse it off with cold water and apply your regular moisturizer. You can repeat the application as often as you want to, as there are no side-effects to worry about. When it is cold outside, you might be tempted to stop using products that provide protection against skin damage from the sun, thinking that it is not as powerful anymore. However, you should be aware that UV rays are active throughout the entire year, causing damage at the level of the skin (wrinkles and fine lines, sagging skin). For this reason, you need to accustom yourself to using products with high SPF all year long. This is valid including for the days in which it is cloudy outside, as the sun can penetrate through the clouds. The skin on the scalp can suffer just as much from the lack of moisture, this being reflected in your general appearance. If you do not want for your scalp to become dry, itchy and flaky, it is recommended to perform a massage with oil containing vitamin E on a daily basis. This massage should be performed before you actually wash your head with your regular shampoo. As an alternative to the vitamin E oil, you can use coconut oil, tea tree oil or even apple cider vinegar (diluted). 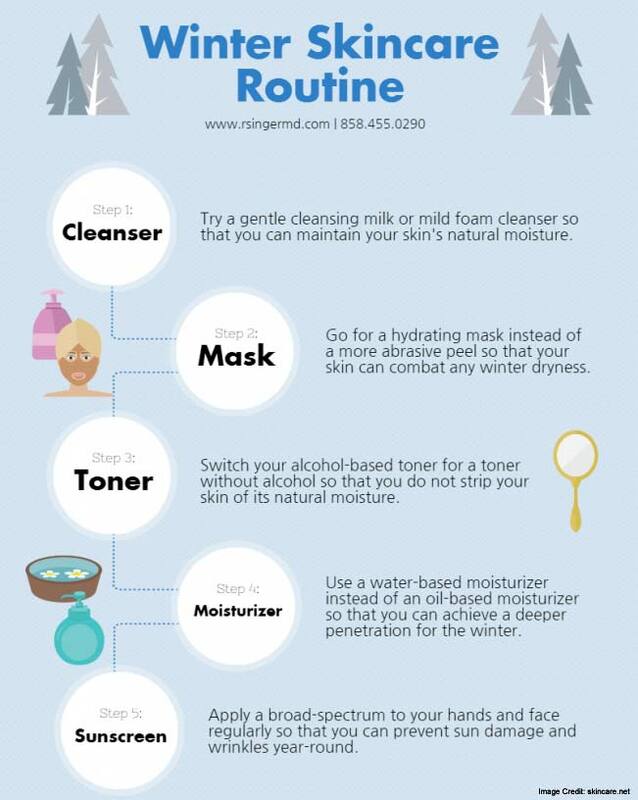 As you have seen, there are quite a lot of things you can do, in order to enjoy glowing skin this upcoming winter. You should also strive to maintain a diet that is rich in fresh fruits and vegetables, in order to provide the skin with the vitamins and minerals it needs to maintain its healthy aspect. You should also strive to drink as much water as it is possible, in order to keep the skin hydrated from within.